I finally finished assembling all the shirt-stripe boxes. I've started to lay out the blocks for piecing the quilt. This is always tricky, especially when working on the floor, drafts and pedestrians tend to muck it up. I will have to sew this together ASAP before it gets scrambled. I live in a small apartment so this is my only option for planning quilt layouts unfortunately. 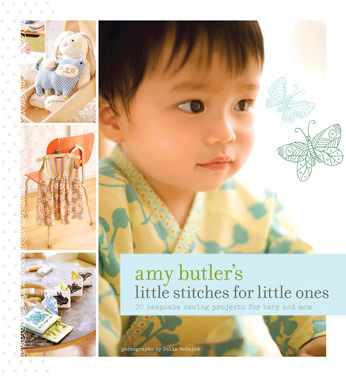 I also made a few kitty cuddle toys from Amy Butler's Little Stitches for Little Ones book. A few of my work colleagues are expecting, so I thought it would make a cute gift. I can't believe how fast you made all of those blocks. I started one of those and couldn't stick with it. It looks great! Wow, I love it! Your choosing of stripes and piecing is so precise! LOVE IT! Those blocks would have done my head in but wow they look effective. Can't wait to see this quilted so remember to post a pic! That is a beautiful quilt. I really love how you have mixed the sizes of the blocks. That must have taken a long time to get them to work out so well.